It’s a cold snowy day in the middle of winter, not the bright sunny afternoon you attend a Scottish Highland Game in southern Ontario. The schedules and information about the Highland Games are not fully available and posted on all the websites for all the events to be held in the next few months. Pipe bands are holding regular practices, dancers are attending classes and getting their outfits ready for competition and Scottish clan representatives are planning their displays for the Avenue of Clans. The early posting of the schedule of the annual Highland Games allows clan representative to plan which games they will be able to attend in the months ahead. Family history has become very popular over the last few years and the interest has greatly increased with the assistance of the internet. 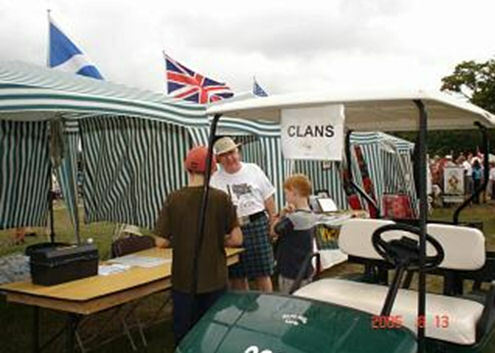 The Clan Societies were formed in the early 1990’s to bring together people of Scottish heritage for social activities. Most clans have a website that shows the history of the clan, tartan, crest, original location in Scotland and membership information. 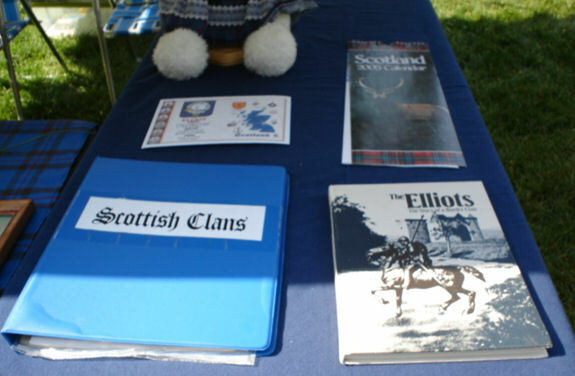 This information has been made accessible by Alastair McIntyre and his website, Electricscotland.com With the interest in clans and Scottish history, many people go to the Highland Games looking to find their clan. 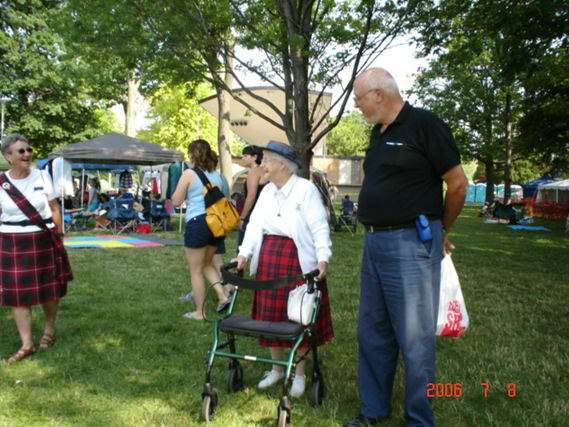 The best place to successfully find your clan is the Fergus Scottish Festival and Highland Games where over fifty clan displays can be found in the Avenue of the Clans. 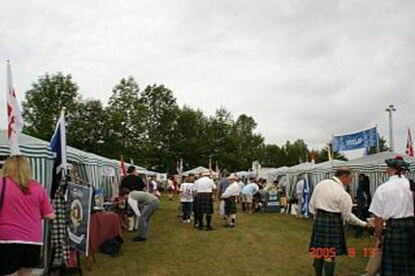 Other Highland Games also feature clan displays and offer helpful advice on locating your clan. Clans are able to participate in the games by contacting the individual games Clan organizer and registering your clan. Registration usually starts late March or early April to allow games officials to begin sending out notices and receive replies. 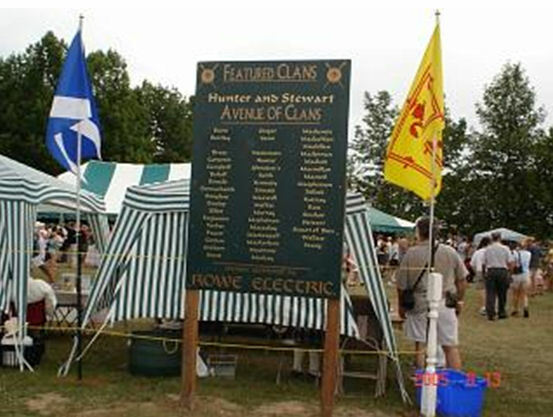 Sign at Fergus Scottish Festival and Highland Games showing all participating clans in the Avenue of the Clans. 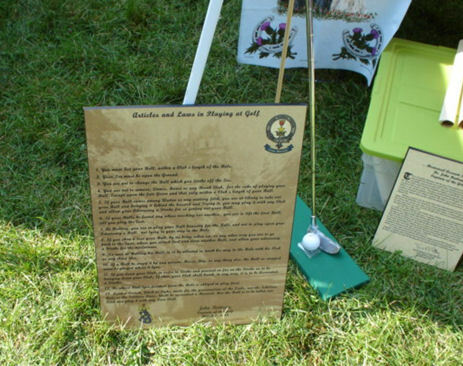 The main purpose of setting up a Clan display is to promote the clans and make visitors aware clans are an important part of Scottish history. 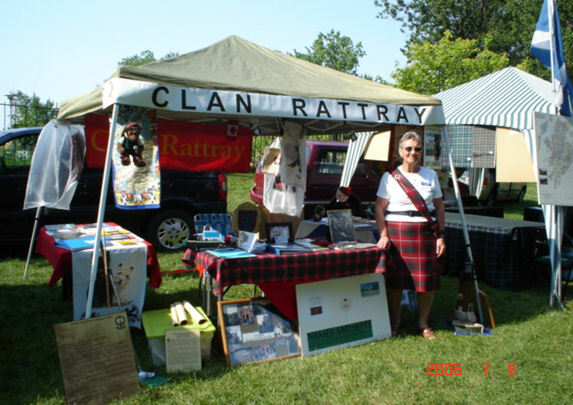 The early years of setting up a clan display are a learning and challenging time. 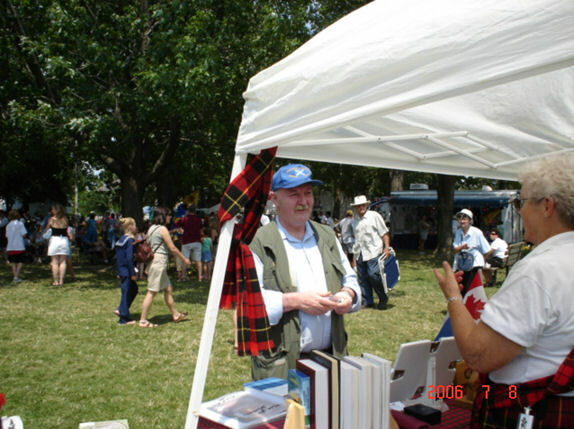 The display should include clan banner, pictures of the clan chief, clan castle (if one is still owned by the clan in Scotland), clan history books, sample of the clan tartan, clan member wearing a kilt or other Scottish wear and other items to attract visitors. Ask other members in your clan to donate or loan items for your display. Items can be slowly added to your display over time. Other items required are a portable gazebo which can be easily transported and set up, folding tables and chairs. Some games such as Fergus will supply the tent and table for a small fee. The clans are invited to march in the opening ceremonies parade at the games and allows people to recognize the clans for their participation. Shown waiting for the Opening Ceremonies parade to begin are Clan Rattray, Clan Wallace and Clan Elliot. 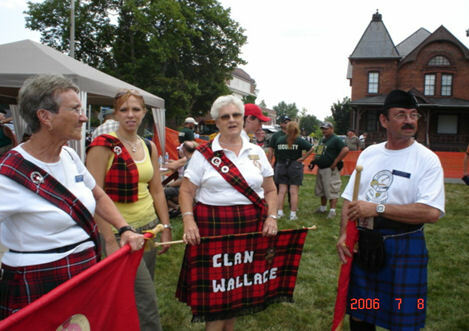 Clan members travel to the games over the summer months and it is a very exciting time. Sometimes traveling might require getting up at 4:00 am in the morning to arrive at a game for set up at 8:00 am and leaving the park late in the afternoon. It is amazing how much minivans can carry and how quickly they can be unloaded and loaded in a short time. The planning and traveling to the games is worth the effort to meet people at the displays and share Scottish heritage. The friendships formed among the Avenue of the Clans last forever. 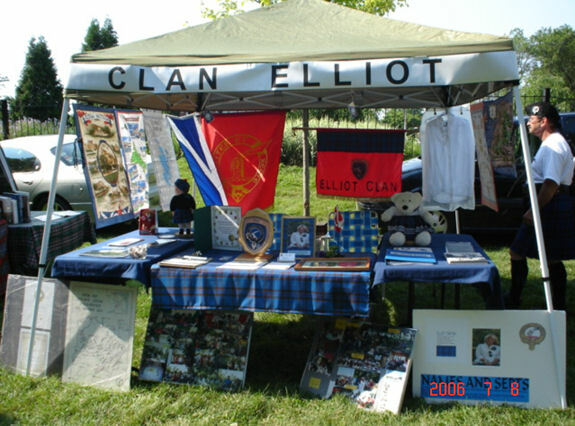 Note: You can see a photo shoot on the Fergus Highland Games, Ontario, Canada, 2005 where you can see lots pictures of clan tents.